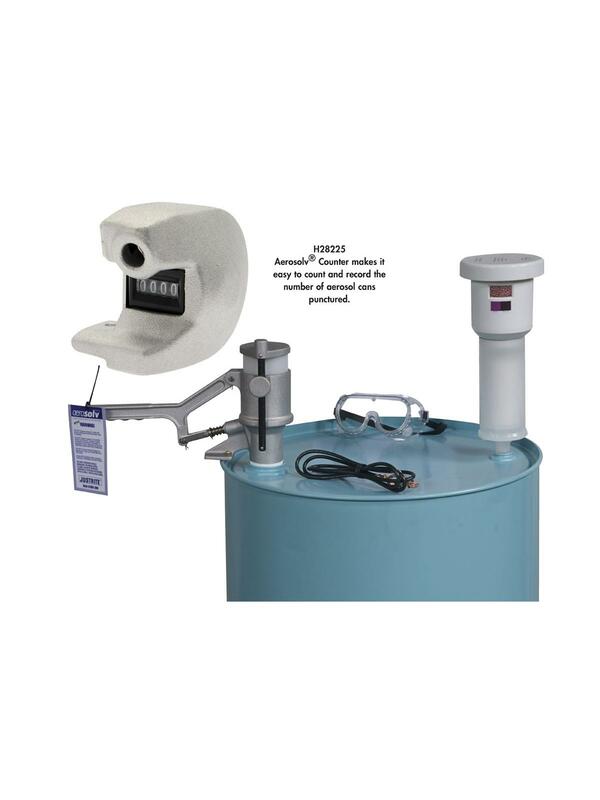 Provides a solution to the expense of solid waste disposal of aerosol cans. Complies with EPA regulations 40CFR261.23(a)(6). RCRA regulations require that, unless relieved of pressure, aerosol cans must be packed in a drum and manifested for solid hazardous waste disposal. With Aerosolv®, cans are not solid hazardous waste, but are fully recyclable. 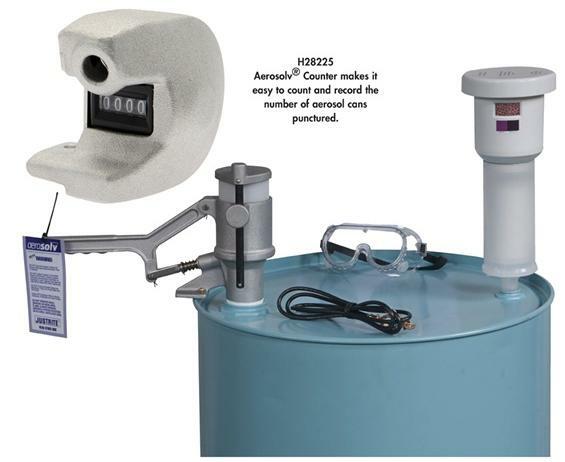 Residual liquids, released by Aerosolv® and collected in a drum, may be eligible for reclamation or recycling through a waste handler, resulting in waste minimization credits. 55 gallon drum will collect the contents of over 4000 spent aerosols. Easily operated by hand. With the press of the handle, puncture pin pierces the can – leaves no sharp edges or crushed metal. Made of aircraft aluminum, requiring no maintenance. Filter comprises a coalescing lower portion, which removes airborne organic compounds and an activated carbon upper portion which absorbs odor. FOB Shipping Point. H28255 Aerosolv® Counter makes it easy to count and record the number of aerosol cans punctured.